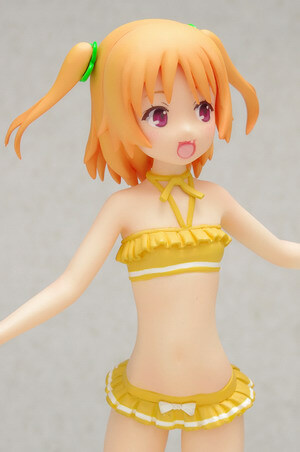 July 17th, 2013 By: GGT Category: 2013/11 release, Figure News. 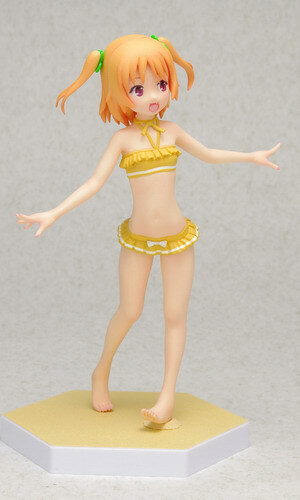 WAVE is going to release the Treasure Figure Collection Beach Queens Harusaki Chiwa ( 春咲 千和 ) 1/10 PVC figurefrom the light novel/manga/anime “Ore no Kanojo to Osananajimi ga Shuraba Sugiru” ( 俺の彼女と幼なじみが修羅場すぎる ). Will be released in November 2013. Around 160mm tall, 3,800 yen. Here comes the childhood friend of the protagonist from Anime title “Oreshura”, Chiwa Harusaki! She has been sculpted dressed in swimsuit with frills which were worn in the Anime and it suits her “Chihuahua” called body posture perfectly! Standard H neck joint has been used and the face part can be slightly posed.